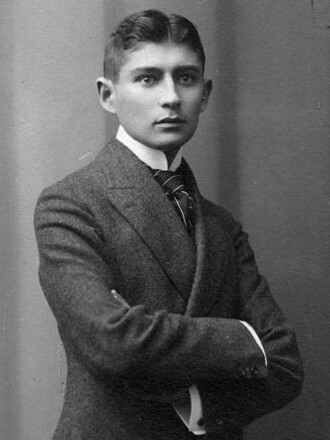 This is a bibliography of works by Franz Kafka. While a sortable list of his works concentrates on their text and first publishing, this list adds their publications in English. Milena Jesenská ([ˈmɪlɛna ˈjɛsɛnskaː]; 10 August 1896 – 17 May 1944) was a Czech journalist, writer, editor and translator. "The Judgment" ("Das Urteil") is a short story written by Franz Kafka in 1912, concerning the relationship between a man and his father. Insect Dreams: The Half Life of Gregor Samsa is a sequel to Franz Kafka's short-story The Metamorphosis, written in 2002 by Marc Estrin.